MR steel roller chain or “malleable replacement chain” is commonly used in agricultural equipment. 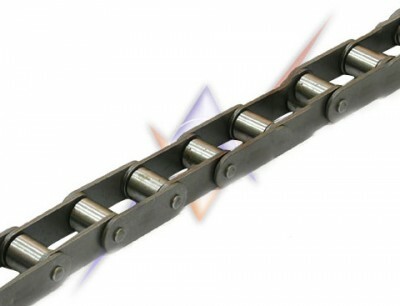 RF chain is similar to MR but has greater wear-resistance and higher tensile strength. Austech stocks an extensive range of both types. A common failing in this type of chain is the fitment between the bushing and inner side plates. Superior punching and bushing roundness makes Tsubaki chain the “quality leader” in agricultural chain.